Help! I need a gift! “What can I get for….”? Well if you have run out of ideas or need to get a jump start, I have some solutions for you. -Fill with cocoa mix and a candy cane. Wrap with a holiday napkin or tissue paper and tie with an ornament or ribbon. -take your photos and get them printed. Put them in a photo book. Scrap or decorate the inside pages. Wrap and give. -Pay for a specific magazine subscription and tuck your card inside. -Fill a jar with the ingredients for chocolate chip cookies or a soup. Write the recipe on a decorated card with a ribbon. -Hand-write your favorite recipes on colored or decorated index cards. Punch a hole in the corner of each one and tie together with a festive ribbon. Offer a dessert sample with the book. – Melt store bought chocolate and dip the pretzels in them. Lay to cool on wax paper. Decorate with red and green sugar crystals etc…then package them in holiday-themed cellophane bags with a tie. -Create pages that include a back rub, babysitting, dinner, mow the lawn, breakfast in bed, or any other items that the person in mind would love. Insert book in a holiday gift bag and tie off with a ribbon. -You can send a donation to a favorite charity, with your persons name on it-what an honor to think of someone else and give some one else the credit. -These are great! Take a medium size holiday basket or box and fill it with items that are their favorites. It could be from ART-to-Zoo. Use specifics and even write a short message about why you made the basket/box especially for them. HERE ARE SOME OTHER SUGGESTIONS FROM ART-TO-ZOO! American Spirit-Red, white and blue candy, flags, Books on American History, gift card to Museum of History. · Art-Craft items, paints, brushes, assorted paper, play do, and tickets to an Art Museum. ·Baby-Blanket, diapers, wipes, photo book, bibs, outfit, and CD-lullabies. ·Bread/Cheese/Wine-Assorted breads or crackers, varieties of cheese, bottle of wine and wine stopper. ·Candles-Assorted sizes and scents of candles, lighter, and candle holders. ·Candy-Chocolates, mints, hard candy, and gum. ·Desserts-A variety of baking boxes with an apron. ·Exercise/Workout-Warm-ups, hand weights, water bottle, towel, and gym bag. ·Fruit-Assorted fruit in sealed containers. ·Garden-Watering can, gloves, garden tools, seeds, insulated cup, and kneeling pad. ·Gentleman/New Dad-Use a top hat for special effect: luxury coffee mug or insulated cup, cigars, cookies, ritzy treats, tickets to a game or a guy’s night out coupon. ·Get Well-Chicken noodle soup, soup bowel, crackers, puzzle book, nice pen, herbal teas, tea mug and saucer. ·Handy Man (house warming for him)-Work gloves, leveler, flashlight, notepad with pen, tape measurer, gift card to Home Depot. ·Home-Cleaning products, paper goods, and baking goods. Gift card to Kroger. ·Igloo-Assorted coolers from cups to coolers. 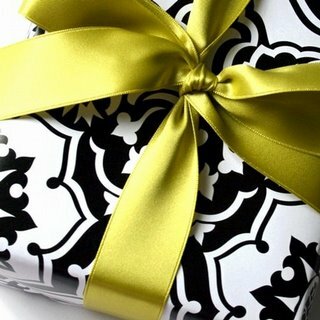 ·Just for her (house warming for her)-Calendar, shopping list, picture frames, Tylenol and gift card to Bath and Body! ·Kids-Theme related toys or special items for hobbies or extra curricular activities, gift card to Toys R Us. ·Laughter-Movies, Books, and Music that are funny and full of comedy! ·Mommy-Lotions, bath, lotions, salts and shower gels, encouraging reading material, parenting magazines, and maid services. ·Nails-Variety of nail polish, polish remover, manicure set, pumice stone, lotion, nail trimmers and a gift card for a pedicure and manicure. ·On the job-Pens, calculator, sticky notes, daytimer/planner, and desk accessories. ·Pretty Women-Flowers, potpourri, chocolate, back massager, and gift card to Victory Secrets. ·Quilt/Sewing-Push pins, material cutting tools, assorted needles, variety of thread colors, and gift card to Hobby Lobby. ·Romantic-Cd of Harp/Instrumental Love songs, wine-cheese and cracker, candles, eatable body frosting, bath fizzers, lingerie, and handmade certificates for indulgences. ·Scrap Book-Variety of scrapbook papers, assorted stickers, assorted embellishments, photo books, refills and page protectors for the photos books, and gift card to Hobby Lobby or Michaels. ·Tea-Assorted teas, tea cup and saucer, treats to go with teas, mini books, and journal. ·Universal/Go Green-magazines, book about Going Green. In a all natural basket with all natural items. ·Vineyard/Cook-Pastas, sauces, serving bowl and platter, breads, wine and wine stopper. ·Wind-Kites, airplanes, balloons, yard flags and wind chimes. ·Xerox-Printing paper, ink cartridges, and gift card to Stapes. ·Youth-Volleyball, soccer ball, basketball, football, gift card to Academy. ·Zoo-Favorite stuffed animal, T-shirt with zoo animals, animal cracker, disposable camera, and tickets to zoo. Hopes this helps or at least gets you started! Art-Craft items, paints, brushes, assorted paper, play do, and tickets to an Art Museum. Baby-Blanket, diapers, wipes, photo book, bibs, outfit, and CD-lullabies. Bread/Cheese/Wine-Assorted breads or crackers, varieties of cheese, bottle of wine and wine stopper. Candles-Assorted sizes and scents of candles, lighter, and candle holders. Candy-Chocolates, mints, hard candy, and gum. Desserts-A variety of baking boxes with an apron. Exercise/Workout-Warm-ups, hand weights, water bottle, towel, and gym bag. Fruit-Assorted fruit in sealed containers. Garden-Watering can, gloves, garden tools, seeds, insulated cup, and kneeling pad. Gentleman/New Dad-Use a top hat for special effect: luxury coffee mug or insulated cup, cigars, cookies, ritzy treats, tickets to a game or a guy’s night out coupon. Get Well-Chicken noodle soup, soup bowel, crackers, puzzle book, nice pen, herbal teas, tea mug and saucer. Handy Man (house warming for him)-Work gloves, leveler, flashlight, notepad with pen, tape measurer, gift card to Home Depot. Home-Cleaning products, paper goods, and baking goods. Gift card to Kroger. Igloo-Assorted coolers from cups to coolers. Just for her (house warming for her)-Calendar, shopping list, picture frames, Tylenol and gift card to Bath and Body! Kids-Theme related toys or special items for hobbies or extra curricular activities, gift card to Toys R Us. Laughter-Movies, Books, and Music that are funny and full of comedy! Mommy-Lotions, bath, lotions, salts and shower gels, encouraging reading material, parenting magazines, and maid services. Nails-Variety of nail polish, polish remover, manicure set, pumice stone, lotion, nail trimmers and a gift card for a pedicure and manicure. On the job-Pens, calculator, sticky notes, daytimer/planner, and desk accessories. Pretty Women-Flowers, potpourri, chocolate, back massager, and gift card to Victory Secrets. Quilt/Sewing-Push pins, material cutting tools, assorted needles, variety of thread colors, and gift card to Hobby Lobby. Romantic-Cd of Harp/Instrumental Love songs, wine-cheese and cracker, candles, eatable body frosting, bath fizzers, lingerie, and handmade certificates for indulgences. Scrap Book-Variety of scrapbook papers, assorted stickers, assorted embellishments, photo books, refills and page protectors for the photos books, and gift card to Hobby Lobby or Michaels. Tea-Assorted teas, tea cup and saucer, treats to go with teas, mini books, and journal. Vineyard/Cook-Pastas, sauces, serving bowl and platter, breads, wine and wine stopper. Wind-Kites, airplanes, balloons, yard flags and wind chimes. Xerox-Printing paper, ink cartridges, and gift card to Stapes. Youth-Volleyball, soccer ball, basketball, football, gift card to Academy. Zoo-Favorite stuffed animal, T-shirt with zoo animals, animal cracker, disposable camera, and tickets to zoo.